The 9 Best Places for a Kid’s Birthday Party in North Dakota! One’s birthday is the best day of the year, a time when he or she feels like the most important person in the entire world! 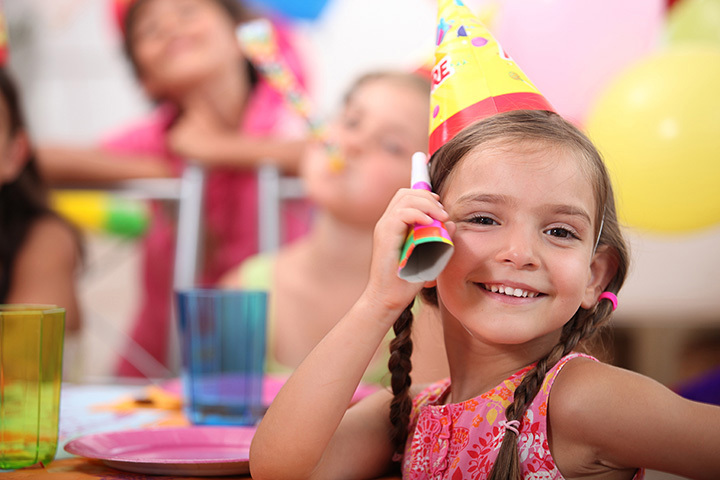 If your child’s birthday is coming up, take the time to show them how special they are with a birthday party at one of the following locations. Give your child a party they’ll never forget at these nine great spots for a kid’s birthday party in North Dakota. Sky Zone is wall-to-wall trampoline fun. Guests can take advantage of several different trampoline activities, like basketball or pit jumping, or simply free-style jump. Regardless, Sky Zone equals fun. It is that simple. Party packages includes unlimited jumping. Food and beverages are also available. If you are looking for an out-of-this-world adventure, Space Aliens is the place for you. Birthday packages include game tokens, pizza, soda, cupcakes and ice cream, and a special alien gift. Party goers can also expect a visit a live alien as they celebrate. Adults at the party can have fun as well, as Space Aliens has some of the best food in town. Try the ribs and you’ll have your own party there from now on. For those with older children, Thunder Road may be the perfect party location. Few places, if any, offer as many different activities for party goers. Packages includes access to go-carts, mini golf, laser tag, bumper cars, batting cages, or the arcade, as well as ice cream and soft drinks. The best part of a party at Thunder Road? The adults can have just as much fun as the kids. Complete with a trampoline park, laser tag area, arcade, and inflatables area, a party at Northern Air will equate to fun for everyone in your group. Food and drink is available for purchase, with Northern Air suppling all paper products. Located inside the Canad Inns, Splasher’s is the largest indoor waterpark in the state. The park includes a variety of slides, a lazy river, activities, play area, and an adult hot tub. Next to the park are the Great Barrier Reef Concession Stand and Garbonzo’s Pizza & Arcade. Party packages include park admission, a cabana rental, arcade tokens, pizza, soda, and cupcakes. Pizza, soda, and games. What else does one need? A visit to Planet Pizza includes their award-winning pizza, arcade games, inflatables, and much more. The only limit to the fun you can have is you. Party packages includes unlimited game access, food, drink, and paper products. Ten thousand square-feet of wall-to-wall trampolines. What could be better? Activities include dodgeball, pits, basketball, a special kids zone, and the first trampoline surfboard in the country. Party packages include jump time, pizza and soda, birthday cake, and a special t-shirt, signature ball, and party bag for the birthday child. Celebrate your child’s next birthday with a visit to the big screen. Party packages at the Grand 22 include movie tickets, party room rental, kid’s tray with popcorn, soda, and candy, and a personal party attendant. Additional food and drink is available for purchase. For summer birthdays, a trip to Raging Rivers is the way to go. The park includes several tube and speed slides, a lazy river, kiddie pool, and bath house. Concessions are also available. Regardless of the make up or size of your party, hours of fun are waiting at Raging Rivers.